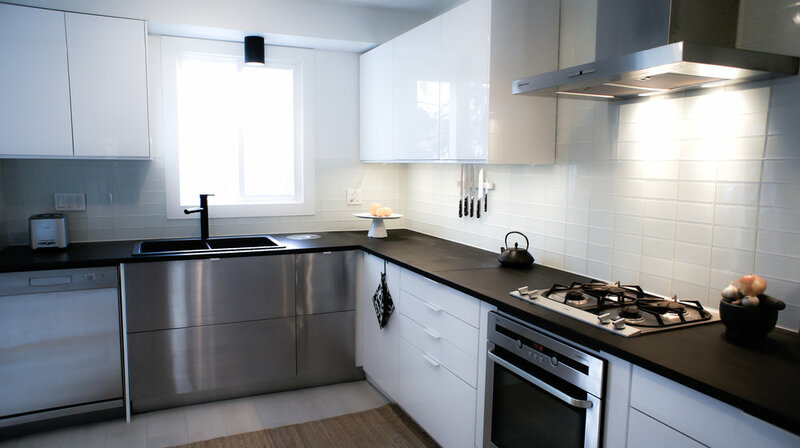 This sleek Scandinavian style kitchen couldn’t fit in it’s original space, so not only was the early 90s style kitchen gutted, but the walls were removed as well to create this amazing open concept design. This cool white kitchen sports a number of stainless steel appliances that fit smoothly into the space, such as a Miele Espresso Machine, a Jenn-Air 36” counter depth fridge, an AEG oven and a Gaggeneau gas cooktop. The solid wood black counter top is food safe and has a waste disposal hatch beside the matte black Blanco sink allowing you to quickly dispose of your organic waste such as fruit and vegetable peels. The high gloss kitchen cabinets open with a touch and soft close, preventing fingers from getting caught, and provide plenty of storage. The white-grey flooring goes through out the open concept home, creating a light and spacious feel. 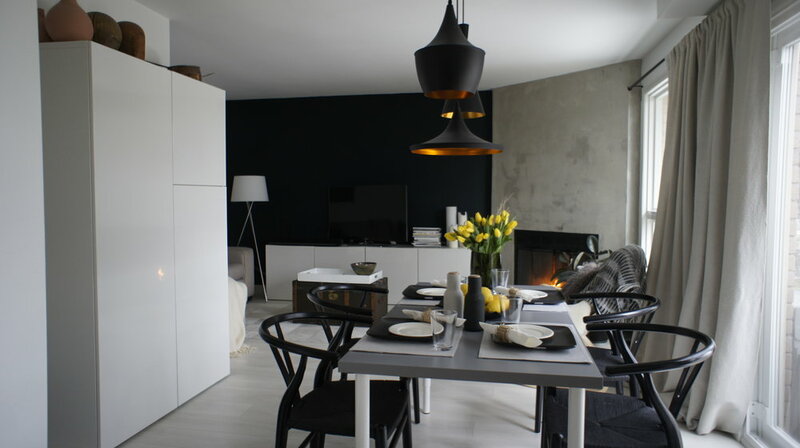 A wood burning fireplace and black light fixtures add the finishing touches to this Scandinavian design.